Show off your beautiful cats with your very own Cat Customizable Coffee Mugs. Every time you take a sip from your Custom Printed Coffee Mug you will be reminded of how much you love your Cat. Even adding that special touch with your own custom message! Our Personalized Mugs will be perfect for a Birthday or Christmas Gift! 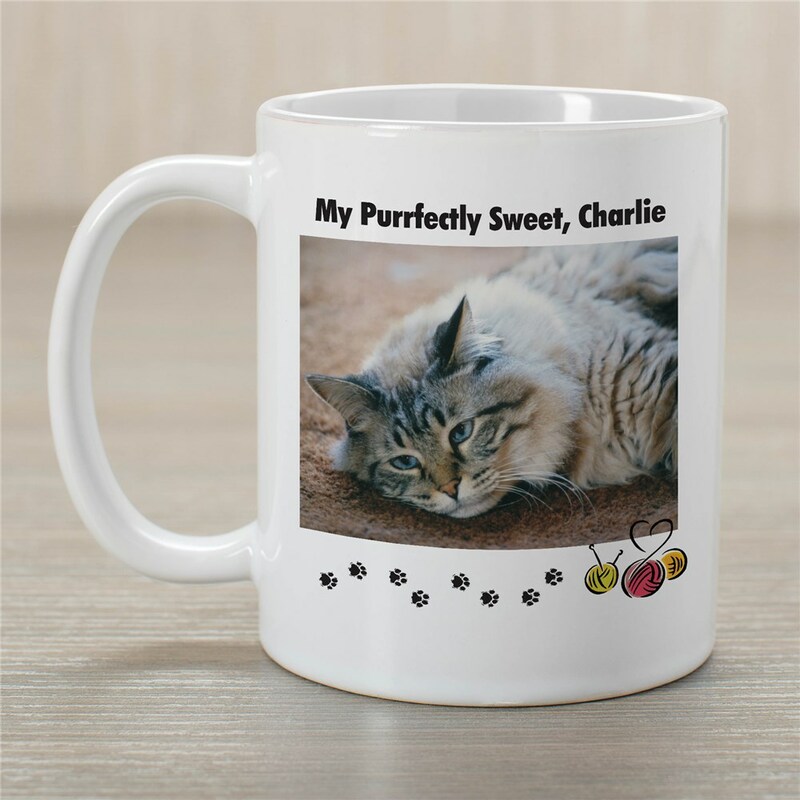 Our Personalized Cat Photo Coffee Mug is available on our Dishwasher safe Ceramic Coffee Mug & includes FREE Personalization! Upload your favorite digital photo below. Please don't send any photos in the mail, electronic photos only. Please enter description of photo. (ex. Cat sleeping on sofa) Personalize your Cat Photo Coffee Mug with any 1 line custom caption. Mugs are available in different sizes ranging from 11 ounces to 20 ounces. The Image Selected Is Too Small To Produce Acceptable Results On Your Item. Please Choose Another Image Using Guidelines Above. GiftsForYouNow.com has a wonderful selection of Personalized Pet Lover Gifts. We offer extremely affordable Personalized Gifts for all occasions. Shop GiftsForYouNow.com for all your fun & creative Personalized Pet Gifts.